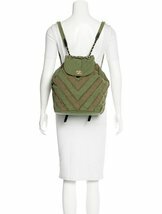 Up for sale is an ULTRA RARE AND ABSOLUTELY STUNNING AUTHENTIC CHANEL 2017 LIMITED EDITION RUNWAY COCO CUBA PATCHWORK CANVAS CHEVRON BACKPACK!!! From the Cruise 2017 Collection. 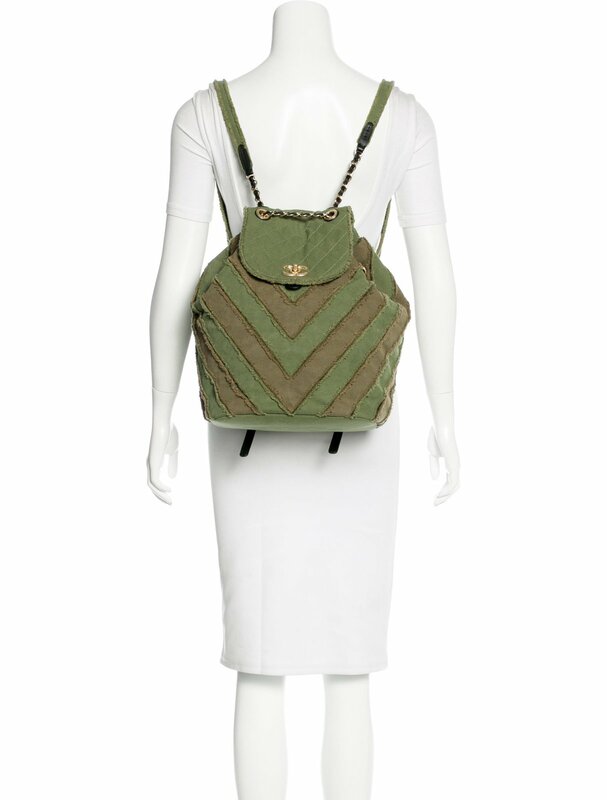 Olive green and olive brown canvas chevron patchwork Chanel Canvas Twist backpack with antiqued gold-tone hardware, black lambskin leather trim, single chain-link and leather top handle, dual adjustable canvas shoulder straps, pink woven lining, single interior zip pocket, drawstring closure at top with additional CC turn-lock closure at quilted front flap. Bag is in pristine near new condition with minimal signs of use. Comes with matching authenticity card and dust bag. GUARANTEED 100% AUTHENTIC. PLEASE PURCHASE WITH CONFIDENCE.